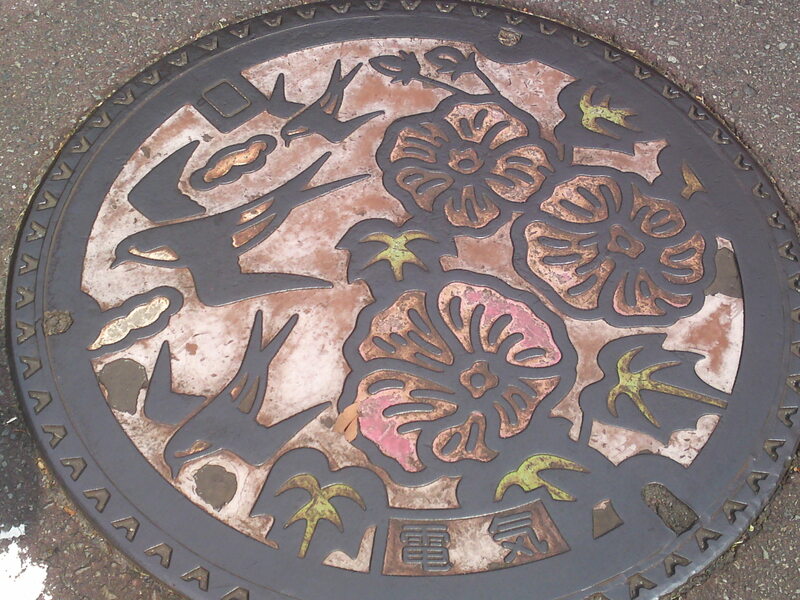 Manhole Covers in Shizuoka Prefecture 38: Nishigaya Sports Center in Shizuoka City! Nishigaya Sports Center is located far away, about 30 minutes by bicycle from Shizuoka Station on the other side of the Abe River. 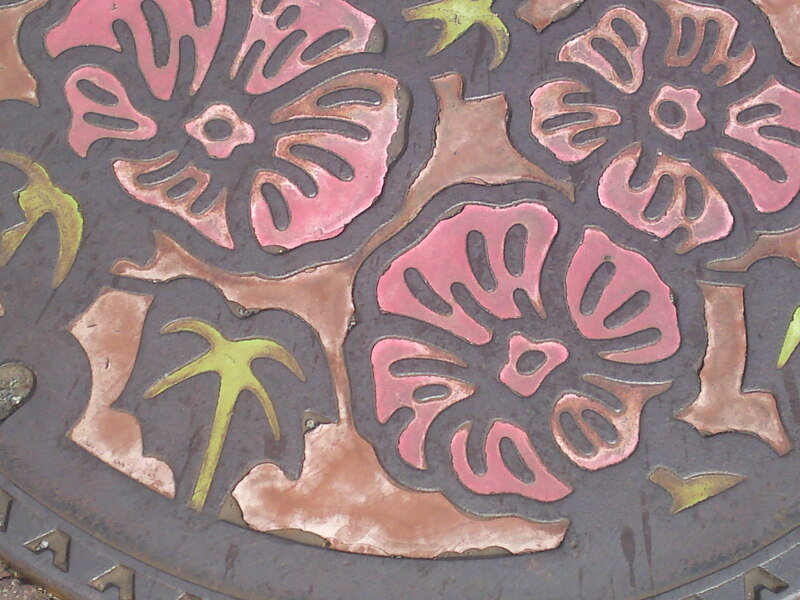 That is probably why I never realised they might have, and an ancient one at that, their own particular manhole covers! They are all, 21 of them, located in the middle of a street running along the sports center (none were found near the baseball stadium, though). 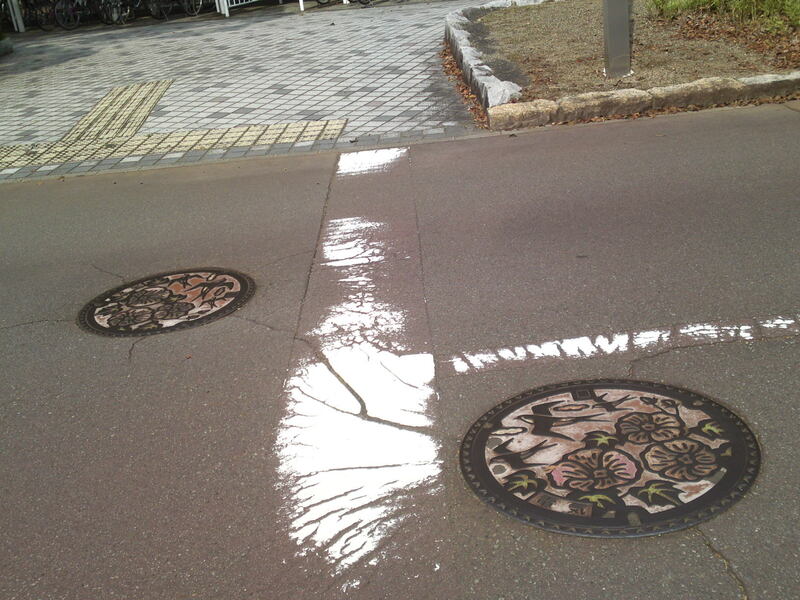 There are two types,most often in pairs, although of the exactly same design. They were probably installed in 1990 when the Sports Center was completed, making them very old by Shizuoka standards! 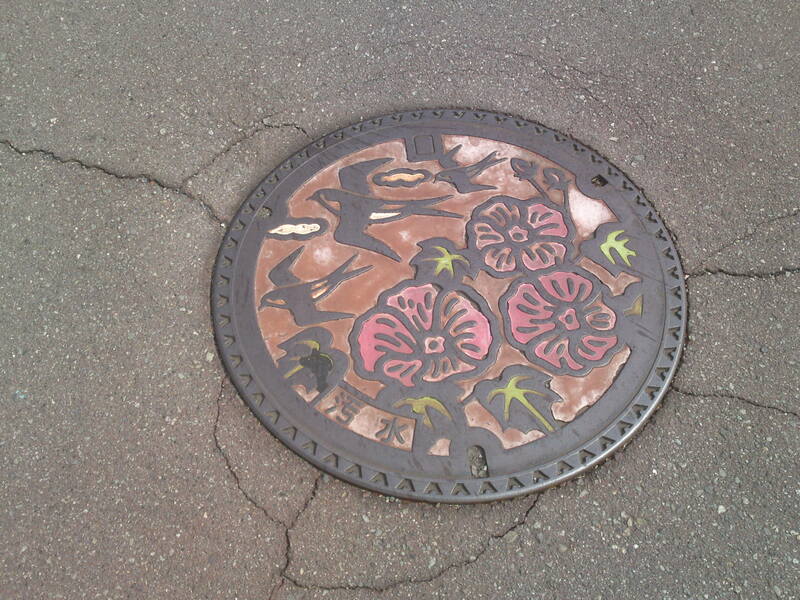 The “denki/電気/underground electric cables manhole cover”! 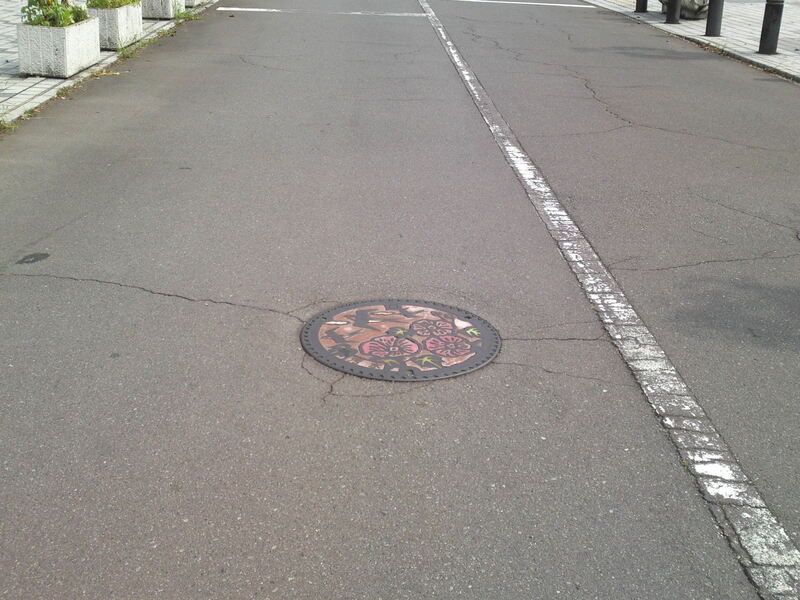 The “Tachi Aoi/たち葵/Hollyhock”, emblem flower of Shizuoka City! 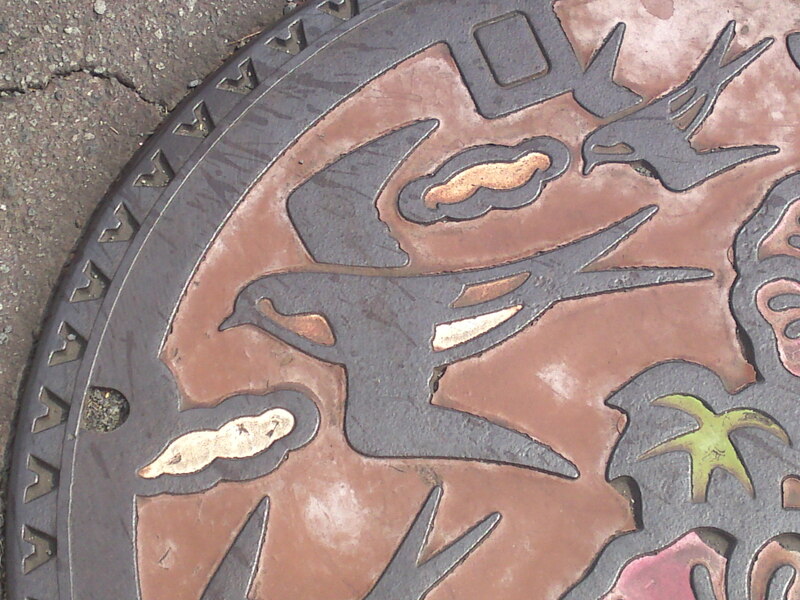 A “Tsubame/燕/Swallow”, one of the two Shizuoka emblem birds (the other one is the kingfisher)! I have a strong hunch they will soon be replaced so keep an eye on them!